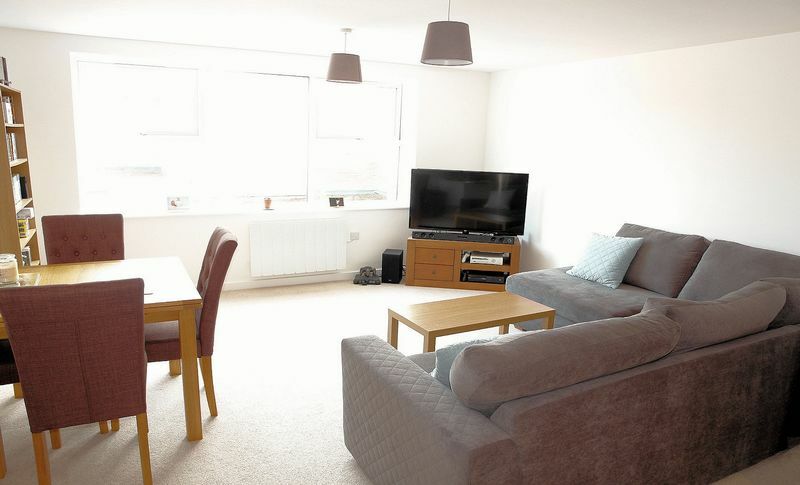 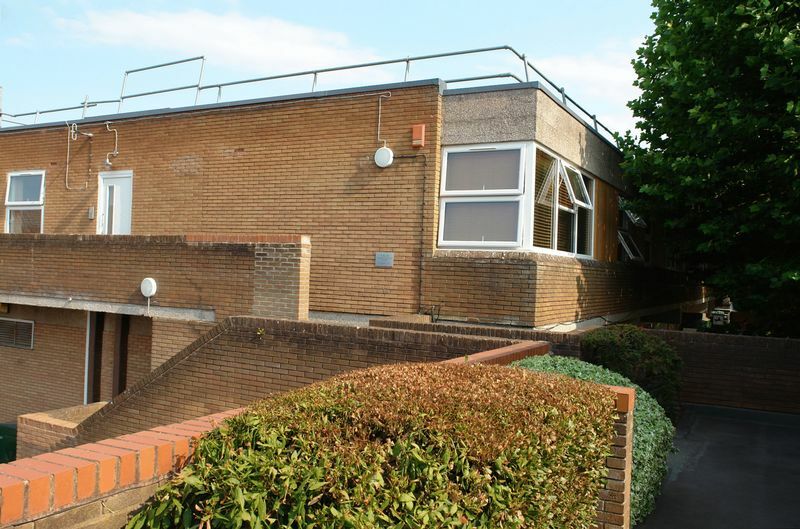 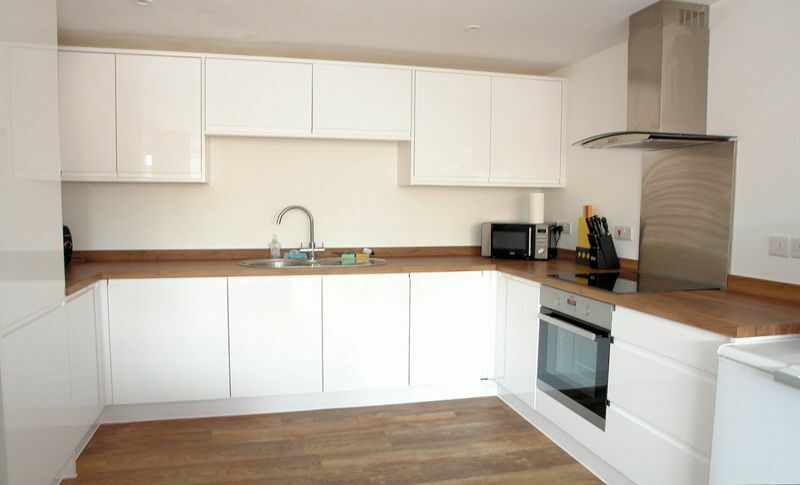 An outstanding first floor apartment that was built in 2016 as part of a conversion of a former office building creating a selection of superior contemporary flats that are ideally placed in the centre of Nailsea but away from through traffic. The spacious accommodation is very well designed and immaculately presented throughout while we understand that the apartment also benefits from parking in the adjacent service area. 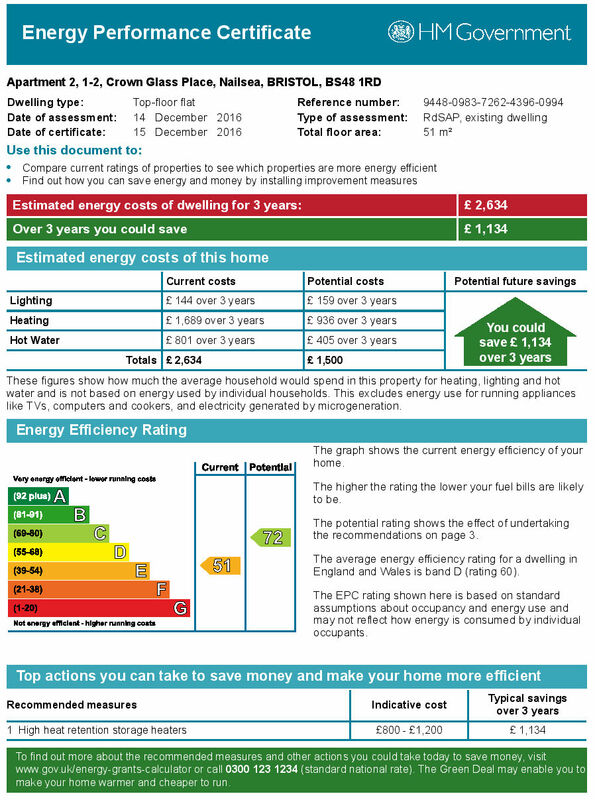 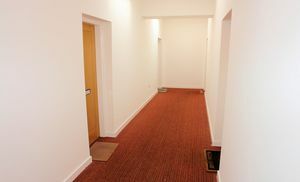 The designers who restyled the building sought to offer very comfortable homes of quality with attractive communal areas and a spacious layout. 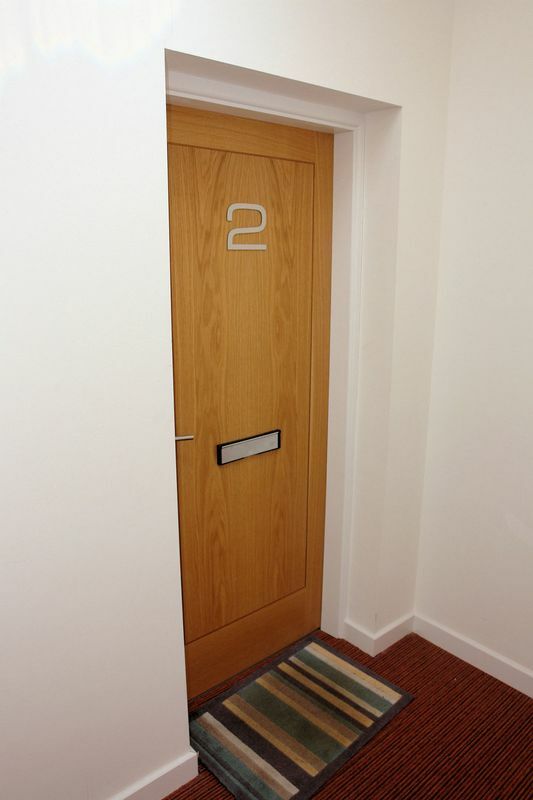 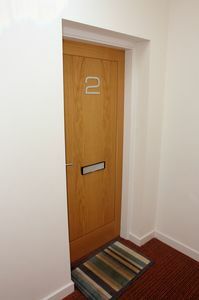 From the first floor gallery the apartments including Apartment 2 are approached via a remotely operated security door with two way intercom system opening to a light, bright communal hall with the front doors of four flats including this one leading off. 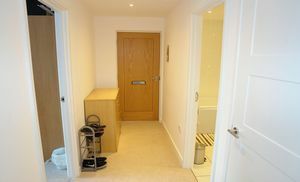 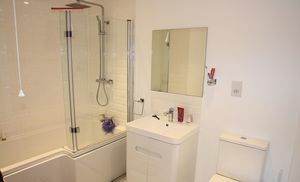 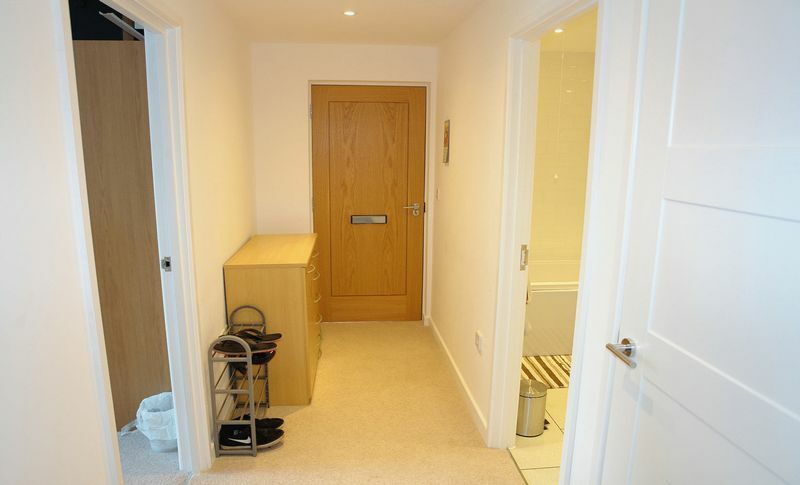 The attractive front door opens from the communal hall to a private reception hall that in turn leads to each room in the apartment and also opens to a walk in airing cupboard/storage cupboard. 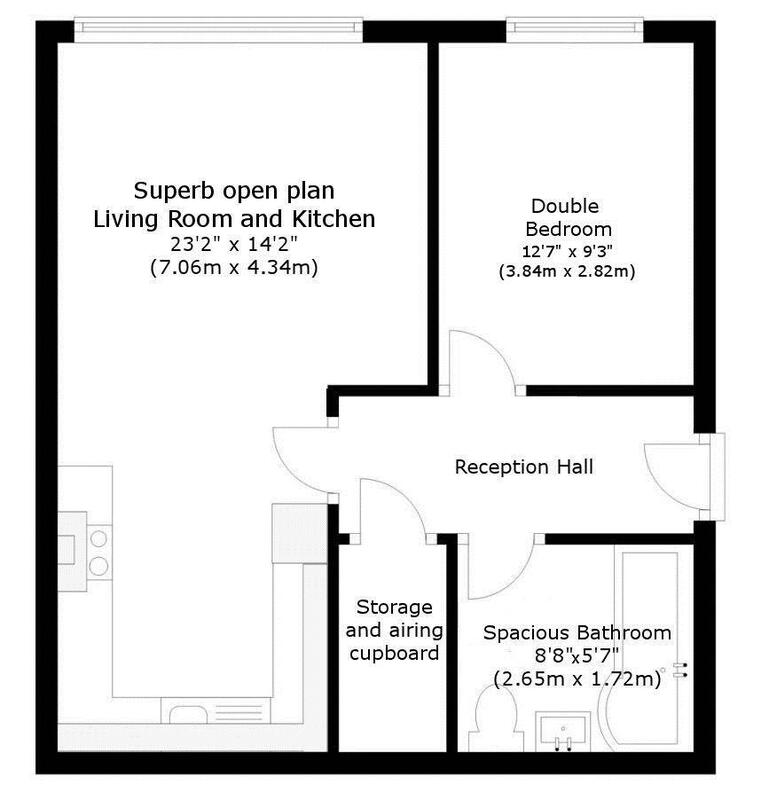 The 23’2" (7.06m) open plan living room and kitchen offers ample sitting and dining space with a broad uPVC double glazed window while, the kitchen is very well fitted and includes a range of built in appliances. 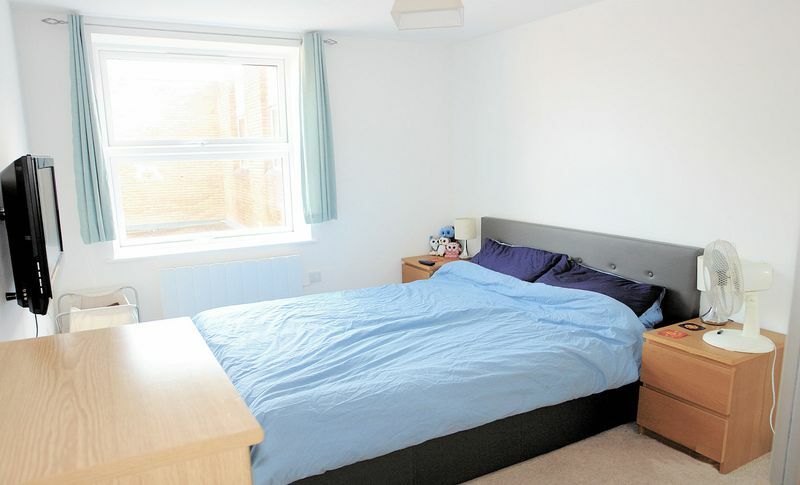 The bedroom is a comfortable double room with more than enough space for a super king size bed, large wardrobes chest of drawers and a associated furniture and opposite the bedroom off the hall there is a spacious full bathroom. When first built/converted these apartments sold very quickly and this property is likely to generate a lot of interest so please do not delay arranging your viewing appointment with us.